Ferrari needs more time to prepare for the new Formula 1 season says Sebastian Vettel, but he hopes it will be ready for the opening grand prix in Melbourne. The Scuderia has topped the timing screens on three of the five testing days so far, but has also suffered a number of small problems that have hampered its mileage. During that period, Ferrari has clocked 425 laps but that is almost half of the 847 laps completed by Mercedes. When asked if he felt Ferrari would be fully prepared when the season kicks off in Australia in two and a half weeks, Vettel said: “I hope in a couple of weeks, yes. Kimi Raikkonen had a gearbox problem that limited his running on Tuesday but Vettel made good progress on Wednesday morning, logging 63 laps. 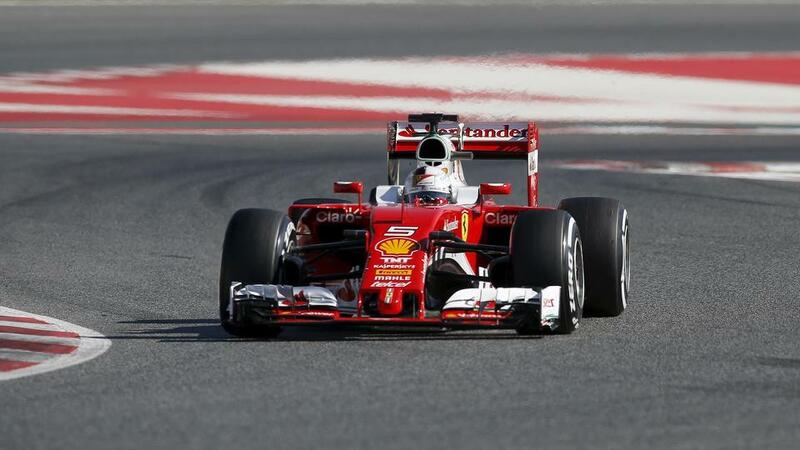 Vettel said he was “not concerned” following the reliability problems Raikkonen suffered.